Ideal Attwater's prairie chicken habitat will be found on coastal prairie that include grasses such as little bluestem, big bluestem, Indiangrass, and switchgrass. The birds require both tall and short grasses in their habitat. They gather to choose a mate in an area of bare ground or short grass, where the males can be seen easily by the females. This is called a "booming ground" or "lek." The males dance and make a noise (like someone blowing into the top of a bottle) to attract the females. Colorful booming Attwater's Prairie Chicken. Very dense stands of grass are generally avoided, but are used for shade during the hot and humid summer months, and for protection against inclement weather and predators. 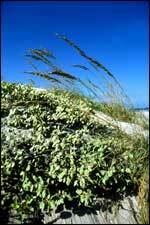 Dense grasses are critical though during nest seasons since that is where the hens build their nests. Booming Attwater's Prairie Chickens are a colorful sight. Habitat is degraded by agriculture, urbanization, and encroachment of woody species. A significant encroaching species in recent years has been Chinese Tallow, which has turned many acres of prairie into tallow forests. 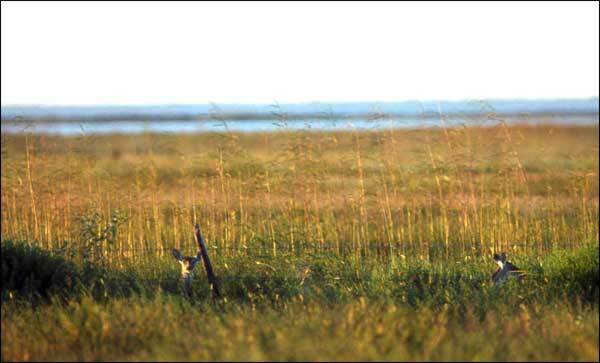 Coastal grasses provide habitat for Attwater's Prairie Chickens. 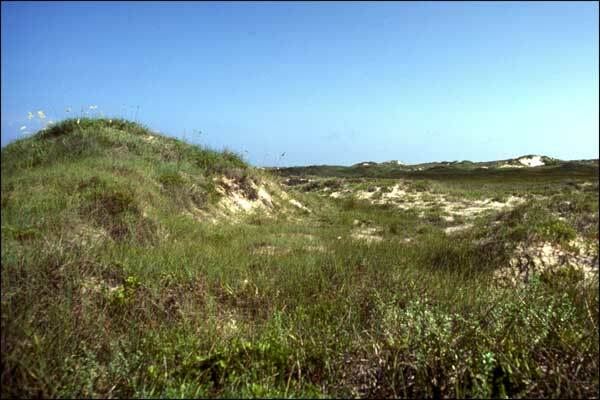 Coastal plains are the Attwater's Prairie Chicken main habitat. 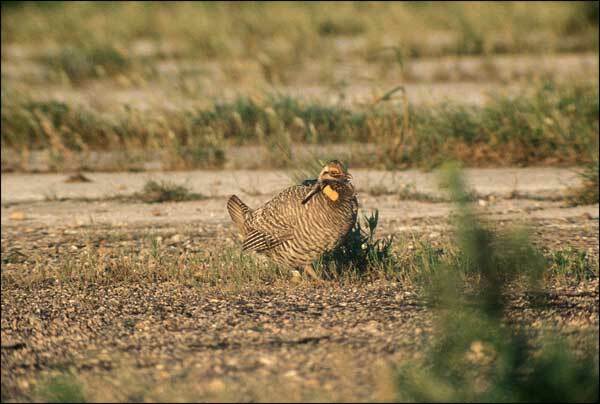 Coastal prairie grasses make up the Attwater's Prairie Chicken environment. 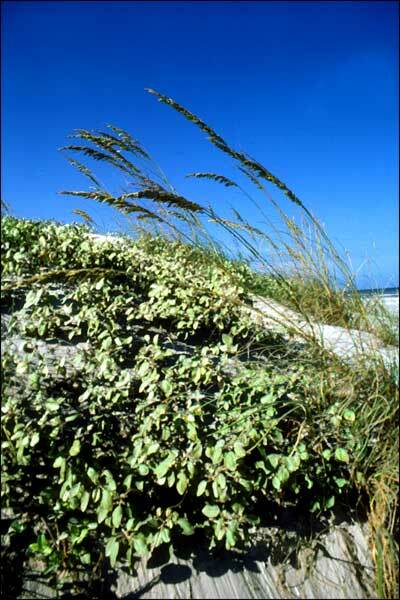 Example of coastal grass environment.